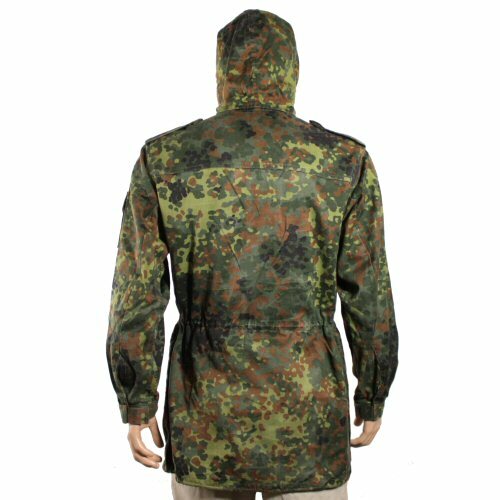 New and unissued original German Forces parka or hooded field jacket in woodland flecktarn camo with zip and button front, two chest pockets, two zip hip pockets, epaulettes and velcro cuffs. 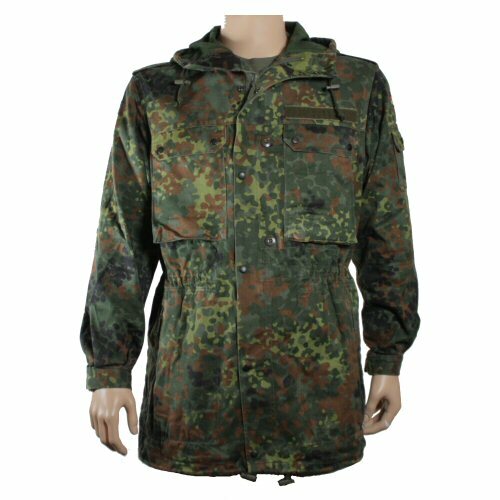 Great utility or outdoor jacket made from temperate medium weight poly-cotton fabric to keep the wind off or as an extra layer to go over a fleece or insulating layer. 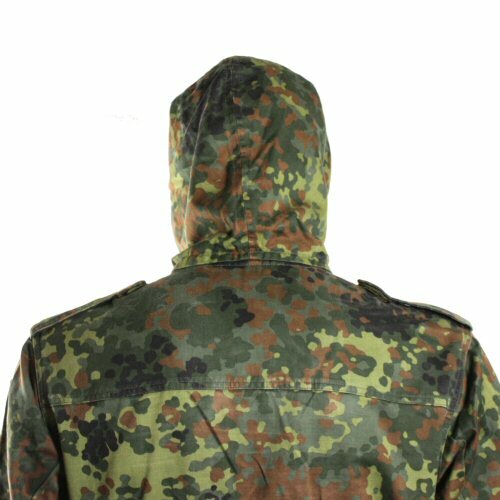 Also ideal as a throw on jacket for for night time, spring, autumn and winter. Features include a longer skirt, drawstring waist and hem, integral hood with drawstring and zip open under arm ventilation. Pen pocket located inside left chest pocket, internal pocket located on left chest. Two zip-up slash pockets on waist are great for quick and secure storage of field items. Velcro on left chest for name tape or other insignia. Large sizes 43-44in size chest, or armpit to armpit length 69cm (27 inches), regular (R) sleeve length 65cm or long (L) 70cm. Available options are: 44R , 44L . 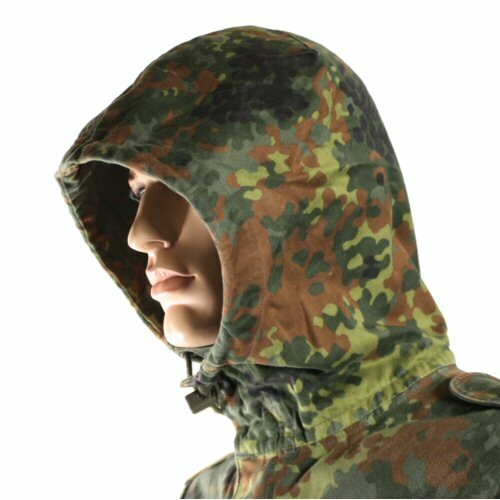 The hood on the jacket, raised. There is a high collar to keep draughts out of the neck area. The upper back and hood area.